A unique set of multimedia resources designed to promote high quality movement education and physical education for children aged 3 - 14 years. 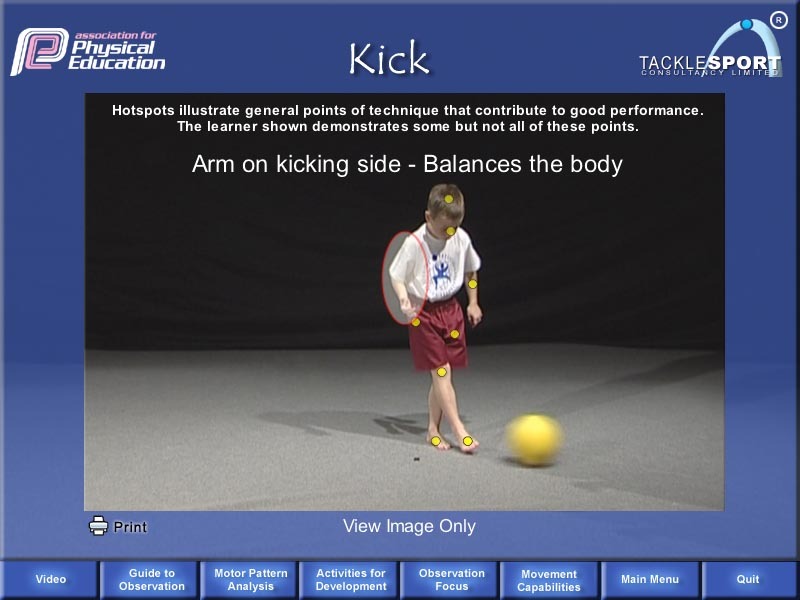 The series is the product of an Association for Physical Education (AfPE) research project and was created by a team of experts in children's movement development led by Patricia Maude MBE and developed by Tacklesport (Consultancy) Ltd.
Be flexible learning tools for the enhancement of observation, description and analysis of movement. Be a means to develop an understanding of movement development and motor pattern analysis. 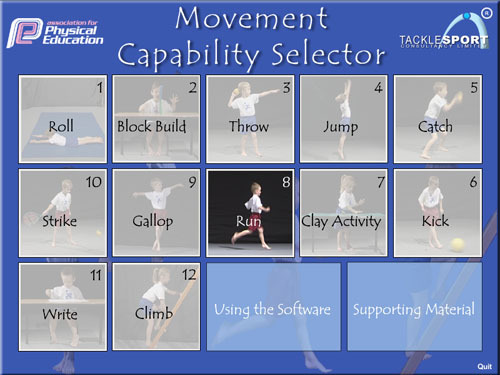 A range of movement capabilities and motor patterns with approaches and guides to movement observation. Analysis grids describing capabilities and movement patterns. Strategies and ideas for development, suggesting approaches and ideas for learning and teaching. Multi-view video illustrating stages of development for analysis. Still frame photography illustrating general points of technique that contribute to good performance. Promote high quality movement education and physical education for children aged 3-7 years. Each resource is full of rich multimedia including over 90 multi-angle video clips as well as still images and interactive 'Hotspots'. 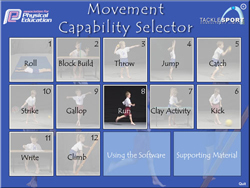 Accompanying each of the movement capabilities are observation tasks, grids analysing the movement pattern of each child and suggestions of activities for children at different stages of development. Approaches to observation and analysis. Helping children to learn - ideas for practitioners to use in their movement work with children. Reflexes to Writing - a broad overview of motor skills. Movement Development and its relationship to the development of the whole child. Enable trainees, teachers and other practitioners to observe, describe and analyse learners' movement. Approaches to observation and analysing movement. Influences of Growth and Maturation.